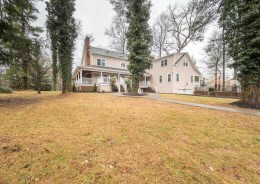 101 Ash Avenue is an iconic 6,316 square foot house with massive curb appeal. The beautiful backdrop of this home is Pewee Valley. 101 Ash Avenue boasts a stunning 1.4 acre lot, the perfect frame for this striking home. 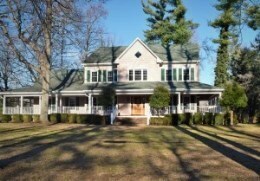 This house has 5 bedrooms, 4.5 baths, 2 full kitchens, and a wraparound porch. 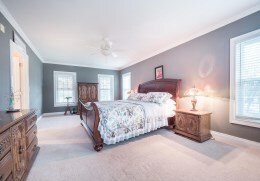 All the bedrooms are large and several of them have ensuite bathrooms. 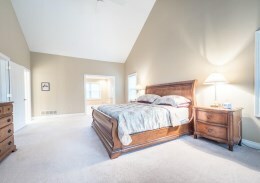 Skylights and vaulted ceilings are a featured in some of the bedrooms and bathrooms. 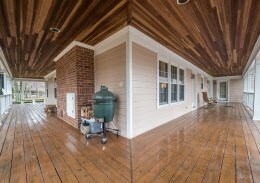 The house was originally constructed for a multifamily purpose, but there are so many great possibilities. 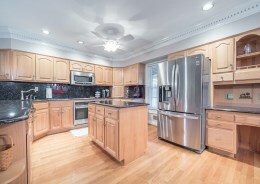 The two kitchens both feature stainless steel appliances, granite countertops, and kitchen breakfast bar. There are several fire places throughout this multi-story home. 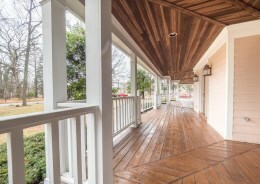 The wraparound porch is just spectacular and perfect for entertaining guests or just winding down on a quiet Sunday afternoon. The basement is partially finished and includes a game room, family room, and a four car garage. 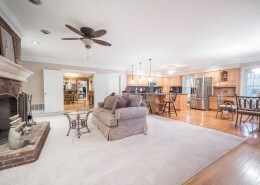 There are also two lower level attached garages and a 2500 square foot detached, climate controlled, structure. This home is a must see. Please contact Christopher Dayton of Family Realty if you have any questions or would like to schedule your own private showing.